Below are resources that may be useful for a diverser psychology. These are organized under the following psychology subtopics: Developmental psychology, social and cognitive psychology, and clinical/counselling psychology. This is a work in progress and if you would like to contribute any resources please email g.jankowski@leedsbeckett.ac.uk. Developmental psychology lecturers can teach how racism and white privilege are related to development over the life course for BME and white people respectively. Such teaching can fit into a wider curriculum on how the socipolitical affects the individual’s learning, development, interaction with others and in particular how systems of disadvantage and advantage influence this (e.g., racism, sexism, their intersections etc.). The following resources are a useful start to provide this. Burman, E. (2007). 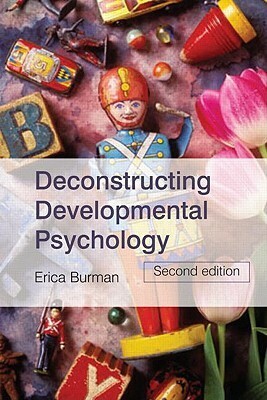 Deconstructing developmental psychology (2nd E d). London: Routledge. Burman explores popular developmental theories and maps these onto the actual lived realities of children. She unpacks the way these developmental psychologies reprodruce racism and particularly sexism. de Royston M. M. & Nasir, N. S (2017). Racialized learning ecologies: Understanding race as a key feature of learning and developmental processes in schools (pg. 258 – 286). In new perspectives on human development. Budwig, N. Turiel, E. & Zelazo, P. D. (Eds.). New York: Cambridge UNiversity press. Chapter explores how ‘learning ecologies’ are racialized and “how race organizes society and effectively structures and influences human development and learning”. Spencer, M. B. (2017). Privilege and critical race perspectives’ intersectional contributions to a systems theory of human development (pg. 287-312). Budwig, N. Turiel, E. & Zelazo, P. D. (Eds.). New York: Cambridge University press. Chapter “Privilege and critical race perspectives’ intersectional contributions to a systems theory of human development”. Ghavami, N., Katsiaficas, D., & Rogers, L. O. (2016). Toward an Intersectional Approach in Developmental Science: The Role of Race, Gender, Sexual Orientation, and Immigrant Status. Advances In Child Development And Behavior, 50, 31–73. https://doi.org/10.1016/bs.acdb.2015.12.001. Chapter reviews research on intersectional models of social disadvantage and how these relate to childhood and youth development. Lecturers may wish to critique social cognitive models of racism (as individualizing, victim blaming etc.) and from there introduce critical race theory that better details the breath and depth of racism. The following resources may help with this. McMorris, G. (1999)(. Critical race theory, cognitive psychology, and the social meaning of race: why individualism will not solve racism. UMKC Law Review, (4), 695-729. Full text available here. Hopkins, N., Reicher, S., & Levine, M. (1997). On the parallels between social cognition and the ‘new racism’. British Journal of Social Psychology, 36(3), 305–329. https://doi.org/10.1111/j.2044-8309.1997.tb01134.x Full text available here. Lecturers may wish to explore how racism and intersecting oppressions contribute to poor mental health, the inaccessibility of mental health support systems for BME people and intersectional counselling/clinical psychology. The following resources may help with this. Nyugen, McDonal, Mate & Taylor (2018). Advancing a cross-cultural narrative approach to career counselling: The case of Vietnam. Australian Journal of Career Development. DOI: 10.1177/1038416218780069 Nguyen McDonald Mate Taylor 2018 [A thoughtful outline of how narrative approaches to career counselling can be useful in acknowledging an individual’s Globally Southern cultural influence in a way that avoids the pitfall of essentialising that culture]. Wood & Patel (2017). On addressing ‘Whiteness’ during clinical psychology training. Full text available here. Burman, E. (2003). From difference to intersectionality: Challenges and resources. European Journal of Psychotherapy & Counselling, 6, 4, 293-308. Full text available here. Paradies, Y., Harris, R., & Anderson, I. (2008). The impact of racism on Indigenous health in Australia and Aotearoa: Towards a research agenda. Discussion Paper No. 4, Cooperative Research Centre for Aboriginal Health, Darwin. Full text available here. Work by Guilaine Kinouani (https://racereflections.co.uk/ ), a clinical psychology doctoral student, equality consultant, therapist and founder of the Minorities in Clinical Psychology Training Group (@minoritiesgroup). 10 African American psychologists http://activemindsblog.org/10-african-african-american-psychologists-you-should-know/ Gratefully compiled & shared by Barrace Wallce Jr.
Holliday (2009). The History and Visions of African American Psychology. Cultural Diversity and Ethnic Minority Psychology, 15,4, 317-337 A history- of African American psychology. Psychology’s Feminist Voices. A brilliant archive dedicated to highlighting women’s and feminist’s contributions to psychology. Features many BME women psychologists. Arnett, J. J. (2008). The neglected 95% why American psychology needs to become less American. American Psychologist, 63(7), 602–614. https://doi.org/10.1037/0003-066X.63.7.602 Content analysis of popular psychology papers highlighting samples and authorship are predominately White and Western. Gray, J. (1988). The incidence of photographs of racial minorities in Introductory Psychology Texts. The Journal of Black Psychology, 15, 1, 77-99. A brief report quantitatively highlighting how under represented BME people are in 1985-86 introductory psychology textbooks photographs. The author writes: “If racial minorities were not participants in the studies cited in the texts [and the photographs included were supposed to represent those in the studies] perhaps the concepts developed from such studies did not apply to minorities. However, there were no [such disclaimers made]” (pp. 78-79). Full text available here. Javangwe, G. (2013). How to Africanize Psychology in Zimbabwean Universities: An Introductory Note. Journal of Black Psychology, 39, 3, 269-271. Highlights a need to ‘africanize’ psychology in Africa and in Zimbabwe in particular. Offers practical strategies to do this and sets out what such an Africanized psychology could be: “I foresee a formidable awakening of Black African minds and the emergence of a forceful army of Black African psychologists equipped with enough Black African psychological ammunition to fight Westernized conceptualizations about human nature and behavior and take Black African psychology to dizzy heights” (pg. 340). Full text available here. Noble, W. W. (2013). Fundamental task and challenge of Black psychology. Journal of Black Psychology, 39, 3, 292-299.Argues for a Black psychology, which the author argues is not race or geographically narrow but something that will account for the African diaspora’s experiences, cultures and realities. Also outlines historical African precursors to the field of psychology such as the concept of Sakhu Sheti. Full text available here. Myers, L. J & Speight, S. L. (2010). Reframing Mental Health and Psychological Well Being Among Persons of African Descent: Africana/Black Psychology Meeting the Challenges of Fractured Social and Cultural Realities. The Journal of Pan African Studies, 3, 8, 66-83. “This paper will focus on innovations in psychological knowledge production over the past fifty years beyond a mono-culturally hegemonic psychology to one congruent with the social and cultural realities of persons of African descent” (pg. 67). Full text available here. Rowe, T. D. (2013). Black psychology and the African Psychology Institute. Journal of Black Psychology, 39, 3, 269-271. A brief report providing a road map of key thinkers/movements and their respective goals to diversify psychology from its White, Western bias (including African Psychology Institute, Black Psychology and Emerging African Psychology). Full text available here. Sonn, C. C. (2008). Educating for anti racism producing and reproducing race and power in a university classroom. Race Ethnicity and Education, 11(2), 155-166. A paper exploring the issues associated with teaching about race, culture, and ethnicity in Psychology including consideration of how students respond to challenges to taken‐for‐granted understandings of race. It is discussed how students often engage in the reproduction of oppressive practices and invest in whiteness.